The swans are still missing. Fred and Ethel have been missing from their Greenwich home since June 19. Their home is in a pond that sits in Betsy Sorrel's yard. Fred and Ethel, named after the "I Love Lucy" characters, are white mute swans and their owner thinks she knows where they are. 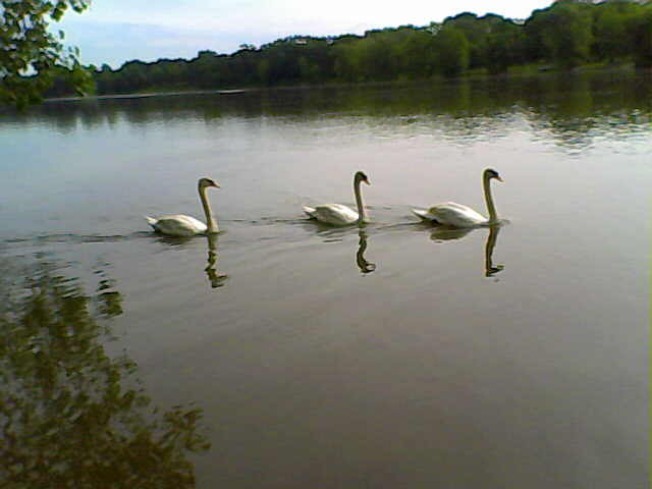 The Greenwich Time reports that Sorrel believes her $1,800 swans are about a quarter of a mile from home at Rockwood Lake. It's a holding reservoir that provides drinking water to Greenwich. Sorrel says several people have called with swan sightings at the lake. The mystery remains; how did they get there? Sorrel says she had their wings clipped so they couldn't fly away. Or could they? Some avid birders say the swans might have been able to regenerate their wings and it's possible they were able to fly to another location. Other sightings of similar swans have been reported as far away as Stamford. Sorrel says she has no way of positively identifying Fred and Ethel, let alone catching them if she was able to find the swans. Water company officials said they are open to helping with the search. "I'm sure we would be receptive toward working with the homeowner to try to capture them if they're truly on Rockwood Lake," Dave Medd, manager of supply operations for Aquarion's southern division, told the Time.